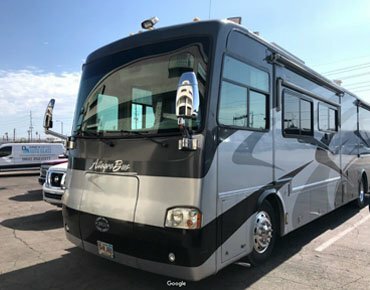 If you are searching for “auto glass near me“, “windshield replacement near me“, “cheapest windshield replacement near me“, “mobile windshield replacement” in Phoenix, Glendale, Tempe or Peoria, Arizona, Dave’s Metro Auto Glass can help! 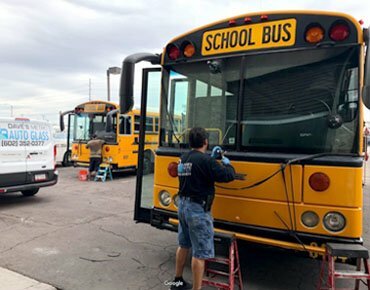 Dave’s Metro Auto Glass offers affordable windshield repair and replacement and auto glass repair and replacement for cars, trucks, semi trucks, buses, excavators or RVs. Get cheap windshield replacement quotes by getting in touch with Dave’s Metro Auto Glass today! “Cheap windshield replacement” is a common phrase local Phoenix residents search for online to find cheap windshield replacement quotes. Dave’s Metro Auto Glass offers quality windshield replacement at a low price! We offer the cheapest windshield replacement without insurance. We offer free windshield replacement when you pay with insurance. 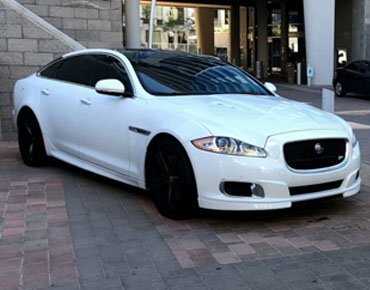 Most driver’s in Arizona have are offered windshield replacement coverage from their auto insurance company that allows you to replace your windshield with no deductible. Chips and cracks in your windshield can get out of hand very quickly. Not only is driving with a cracked windshield illegal in Arizona, but it’s also unsafe for you and your passengers. Dave’s Metro can help fix chipped or cracked windshields to keep you and your passengers safe. Do you think your chips or cracks are too large to repair? We can inspect your windshield to see if your chips or cracks are repairable or if you need full windshield replacement services. If your windshield only has a few chips, it might be repairable. However, it is important to know that you should fix chips in your windshield as soon as possible to avoid them turning into cracks. Some windshield cracks can be repaired if they are not too big. Whether your crack can be repaired depends on location, depth and size of the crack. Even longer cracks are sometimes repairable. Dave’s Metro also offers auto glass repair and replacement for cars, trucks, SUVs and more. We can replace cracked glass, repair chipped glass and more. We can repair or replace all types of auto glass including: back window glass, quarter door glass, side mirror glass, rear door glass, front door glass, and windshield glass. If you have glass coverage on your vehicle, Dave’s is the place for your replacement. We are a preferred provider for all insurance companies.We are happy to help, starting from the beginning of calling in your claim and getting it set up all the way to the installing of the glass. We make this an easy process so that you get your glass in a timely manner. We want your entire experience to be great at Dave’s so your can enjoy your new windshield. At Dave’s we are committed to quality work and stand behind the jobs we do. We always expect quality work out of our technicians, but mistakes can happen. If you ever have an issue with the workmanship of the install or there is a defect in the glass, it is covered and we will take care of it. We offer a top of the line warranty so that you can have piece of mind when getting your glass installed. Looking for mobile windshield replacement to save time and money? 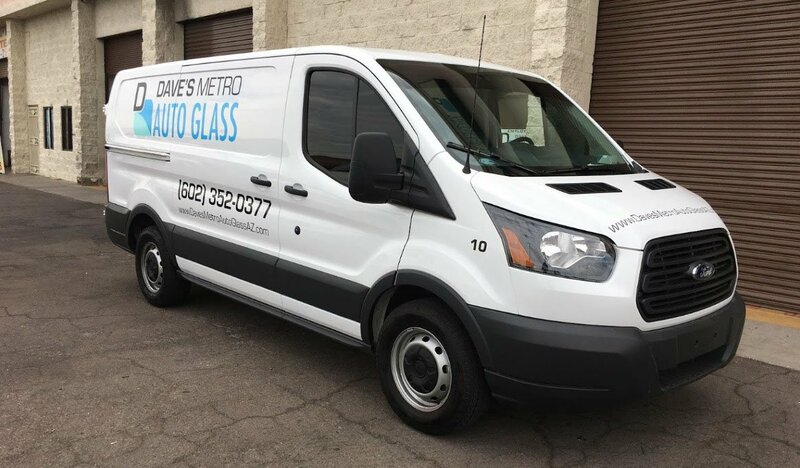 Dave’s Metro offers mobile windshield replacement to all areas of Phoenix including: Phoenix, Scottsdale, Tempe, Chandler, Glendale and more. 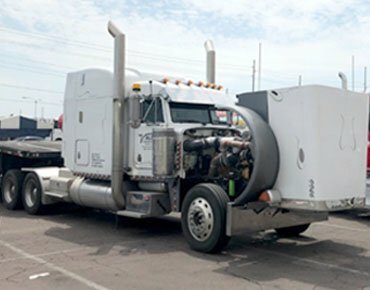 We offer on-site or off-site windshield replacement which allows us to come to your home, office or anywhere else in the Phoenix Valley. At Dave’s Metro Glass we want your repair to be hassle free. This is why we offer a free mobile service to you. We want our customers to know that they have the option to come in shop but when they prefer mobile service there will be no extra charge. In most cases, we are able to provide mobile service the same day! At Dave’s we offer custom auto glass cutting for all types of different vehicles and frames. We can help with custom auto glass repair & replacement. When it comes to needing glass in your vehicle that no other glass shop seems to know anything about Dave’s can help you out. WE DON’T JUST LIMIT OUR SERVICES TO CARS AND TRUCKS! At Dave’s we take care of any kind of vehicle you have. 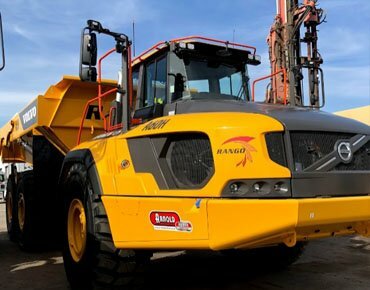 Buses, motor homes, semi-trucks, cranes, tractors, drills, and all other heavy equipment are things we deal with on a daily basis. You can trust that your vehicle is being handled by a technician that has extensive knowledge in what they are doing. We also provide custom glass cutting for all you one-of-a kind jobs. Give us a call and see how we can help you with any glass you need! SCHEDULE YOUR SERVICE TODAY. WE’RE ALWAYS HAPPY TO HELP!